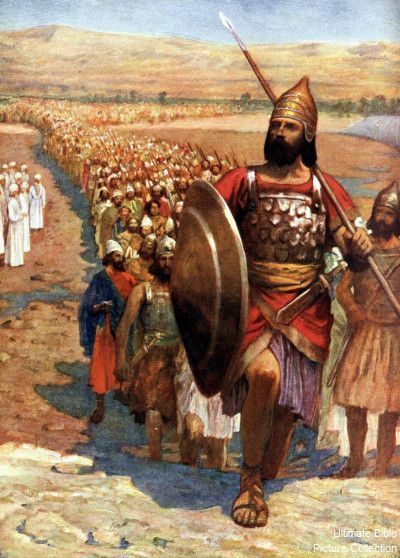 In the Old Testament war was considered inseparable from human life. Wars were always considered holy in one way or another. Whenever Israel fought a righteous battle, it was not Israel which fought but the God of Israel. The victory hymn of Deborah (see Deborah, Song of) provides a fine example of this ideology. Also the story in 1 Samuel (see Samuel, Books of) about the Ark of the Covenant that was carried into battle against the Philistines relates to this idea of the holy war. On the reverse side, when a battle was lost, it was never the God of Israel who lost it. On such occasions Israel and its kings had transgressed the will of the Lord and were accordingly punished by defeat. Wars were cruel, including mass executions of prisoners and the total extermination of the enemy, men, women, and children. The Hebrew technical term was herem, the ban of God imposed on the enemy, spelling disaster for Israel’s vanquished foes. Thus, when Joshua conquered Jericho and Ai, he placed a ban on these sites. No one escaped their fate, except in Jericho’s case: the prostitute Rahab who had assisted Joshua’s spies (Joshua 2; 6). Rather little is known about the development of warfare in ancient Israel. In Late Bronze Age western Asia, including Palestine, war was the business of professional, mostly relatively small armies. The main body of the army consisted of infantry, assisted by a corps of chariots. Only the great powers of that time, such as Egypt or the Hittite Empire, disposed over larger and more specialized military organizations, including light as well as heavy infantry, and an extensive amount of chariots driven by a very specialized elite corps of charioteers. In the Early Iron Age, a rabble of loosely organized tribesmen took over from the professionals, without any indication of specialization into different types of weaponry. During the time of the Hebrew kingdom, the specialized organization reappeared as seen, for example, in the description of Solomon’s military system (1 Kgs 9:15-23). However, the real change in warfare came with the arrival of the heavy armored Assyrian armies in the Levant in the ninth-eighth centuries. 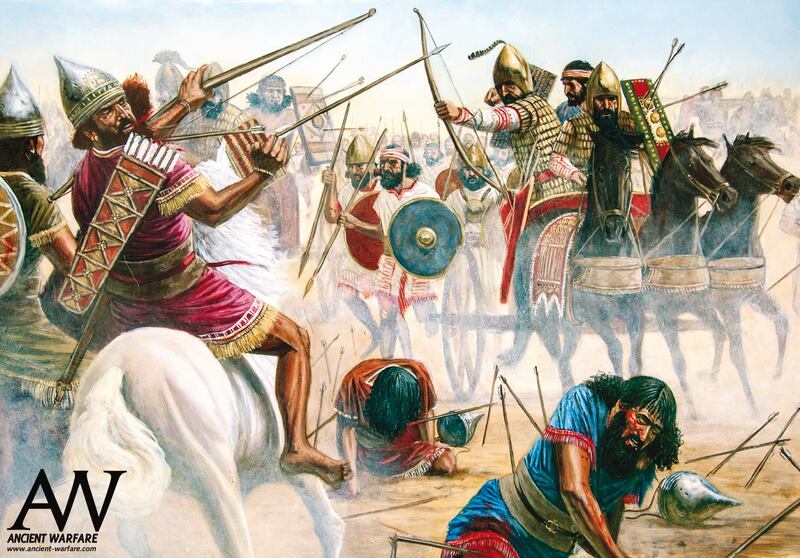 The Assyrians managed to create the most specialized military body the ancient Near East had ever seen, including light and heavy infantry, specialist corps of archers, stone slingers, horsemen, and charioteers. The Assyrians were also innovative when it came to the construction of siege machinery, although they never achieved the professionalism in the procurement of such items as the later Hellenistic and Roman armies. Thus, Nebuchadnezzar, the king of Babylon, laid siege to Tyre for 25 years without any success at all. New developments only occurred in the fifth century when Persian local rulers began to employ Greek hoplites as mercenaries making use of their superior training and morale. 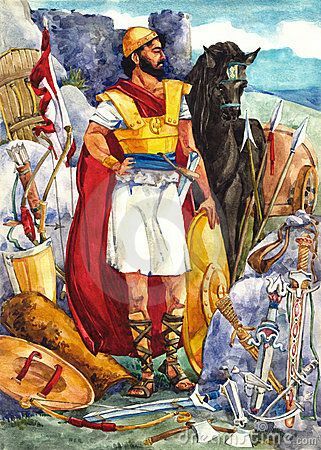 The difference between the by now traditional Near Eastern military organization and the Greco-Roman military was exhibited when Alexander the Great crushed the Persian Empire within a couple of years and after that when Rome repeated his success, this time defeating the kingdoms established by Alexander’s generals. The Old Testament says close to nothing about warfare at sea. The kingdoms of Israel and Judah did not possess a navy. When the imperial powers of Assyria or Persia planned campaigns at sea, they turned to the Phoenicians for help. A cultic relic located in the time of the Israelite monarchy in the temple of Jerusalem. The traditions about its prehistory since the time of the Israelite migrations in the desert (see Desert, Migrations in the Desert) describe it as a movable shrine which the Israelites used to carry with them into war. 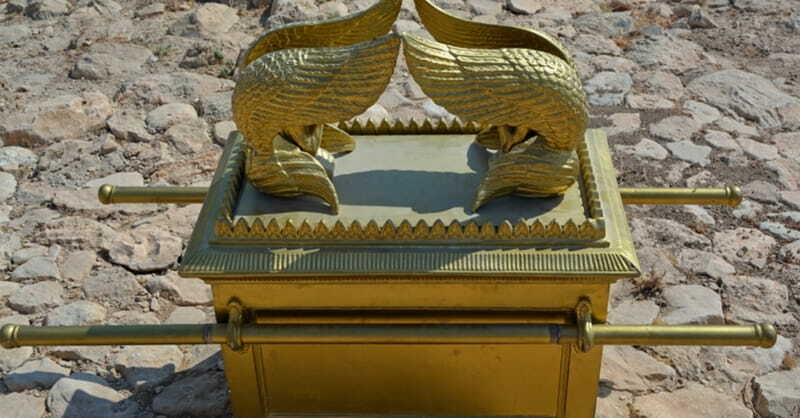 The last time the Ark of the Covenant was taken into the field it was ignominiously lost to the Philistines, although in the event the Philistines were not able to keep it but had to send it away (1 Sam 4-6). The name of Israel has never been explained. The last element of the name may refer to the West Semitic god El, but no convincing explanation of the first element has ever been proposed. Outside the Old Testament, the references to Israel are few and far between. The name appears for the first time in Pharaoh Merenptah’s Israel stele (c. 1208 B.C.E.) among the vanquished foes of the Pharaoh. The next time it appears is as Serilaya, evidently a corrupted form, in the Assyrian record of the battle at Qarqar (853 B.C.E.). Otherwise the Assyrians referred to Israel as Bit Humriya, “the House of Omri.” Around the middle of the ninth century B.C.E., King Mesha of Moab mentions Israel in his famous inscription (see Mesha and the Mesha inscription). Finally, the Dan inscription refers to the king of Israel, maybe as a parallel to the king of “the house of David” mentioned alongside the king of Israel. In the Old Testament, Israel is the name of a patriarch, a nation, and a state. It is the second name of the patriarch Jacob, who was officially accorded the name of Israel following his fight with God at night (Gen 32:22-32). From its apical ancestor, the chosen people of God carried the name of Israel and Israel is identified as the Jewish people. 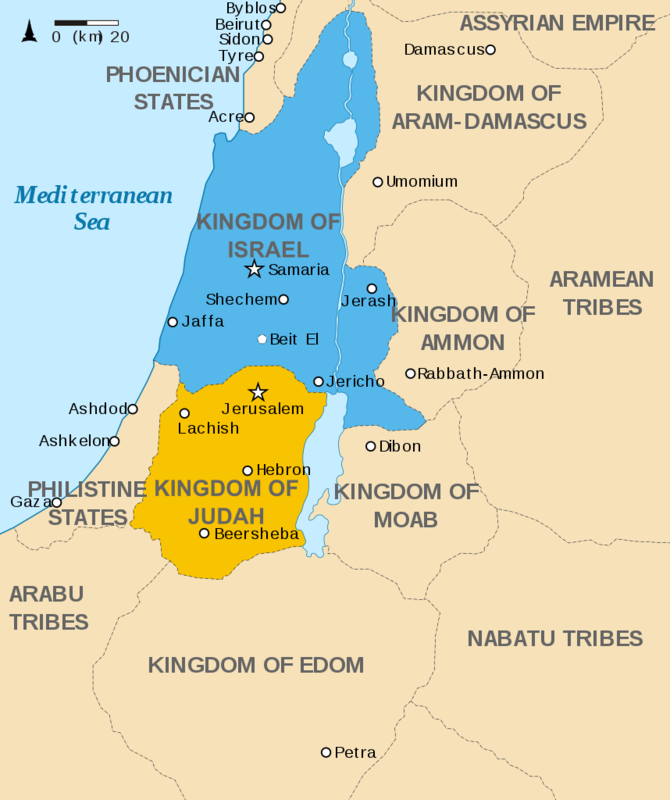 However, in the Period of the Monarchy, Israel became the name of the Northern Kingdom in contrast to Judah, its southern neighbor. At the beginning of the ninth century B.C.E., after a period of weakness, as Assyria was reduced to an insignificant north Mesopotamian city-state, Ashurnasirpal of Assyria initiated a new period of Assyrian greatness that led to an expansion of Assyrian territory to the west, to the borders of the Mediterranean. The first phase of the Assyrian expansion did not affect Israel. However, in 853 B.C.E. at Qarqar in Syria, direct contact was made when King Ahab joined an Aramaean coalition to fight off the threat from Assyria. For a moment the Assyrian onslaught was impeded. After the fall of the dynasty of Omri, the coalition was dissolved and replaced by prolonged fighting between the former allies, not least Damascus and Israel, an opportunity not to be missed by the Assyrians who continued their advance toward the west. Already in 843 B.C.E., Jehu of Israel was forced to submit to the might of Assyria. The place of a battle between the Assyrian army of Shalmaneser III (858-823) and a coalition of states from Syria and Palestine. Qarqar has not yet been identified with certainty but was located in the Orontes Valley in Syria. The importance of this battle is not limited to its outcome—the coalition managed temporarily to stop the Assyrian advance to the west—but the date of the battle has been linked to a solar eclipse that happened that year. This coincidence has made the battle a sort of pivotal point in the establishment of ancient Near Eastern chronology of the early first millennium B.C.E. None of these events have been recorded by the Old Testament historiographers. They show more interest in the events that followed the ascension of Tiglath-pileser III to the throne of Assyria in 745 B.C.E., when the final phase in the history of the Assyrian Empire began. Over a period of just a few years, Tiglath-pileser received tribute from King Menahem of Israel and pushed his armies to the border of Palestine. Here he and his successor, Shalmanaser V, succeeded in connection with the so-called “Syro-Ephraimite” war to reduce the states of Palestine into either Assyrian provinces or Assyrian puppets. Israel was limited to only its capital and the territory of the city itself. In 722 B.C.E. Samaria also fell to the soldiers of Sargon, and parts of the Israelite population were sent into exile in Mesopotamia. Judah had little to do with this event. Already before the fall of Samaria it had accepted the Assyrians as its overlords. Only when Hezekiah rebelled against Assyria, disaster struck, and Judah was almost totally destroyed by Sennacherib, while the king was forced behind the walls of Jerusalem. For unknown reasons Sennacherib did not conquer Jerusalem but left after having received an impressive tribute from the Judean king, including—according to his own royal annals—the daughters of Hezekiah. Only a small city-state with Jerusalem as its center remained as an Assyrian puppet state. From the middle of the seventh century B.C.E., the grasp of the Assyrians diminished in force and made some kind of independence possible for the local powers of Palestine. In the time of King Josiah, Judah seems to have regained its independence from Assyria. It is difficult to find evidence of a direct Assyrian influence on the civilization of Palestine during its hegemony over the territory. Instead, one should think of an immense indirect influence, not least on religion. Scholars have generally understood the references pertaining to this period to astral religion in the Old Testament as a reflection of this influence.